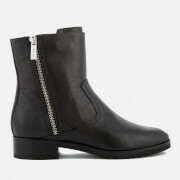 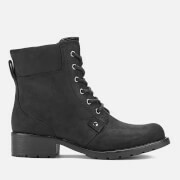 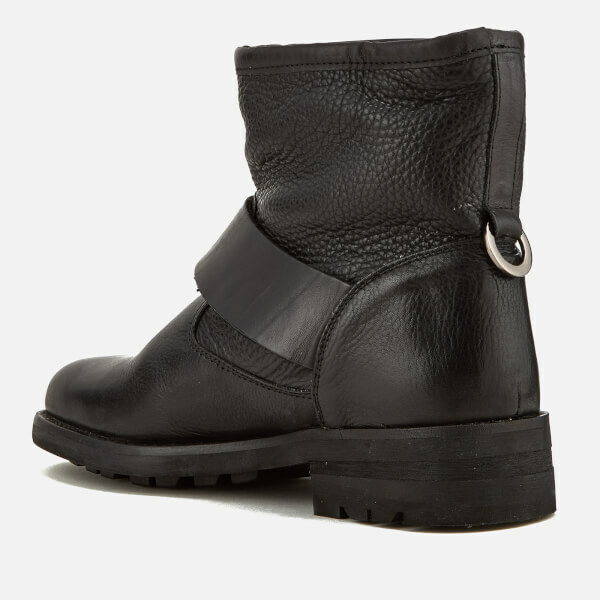 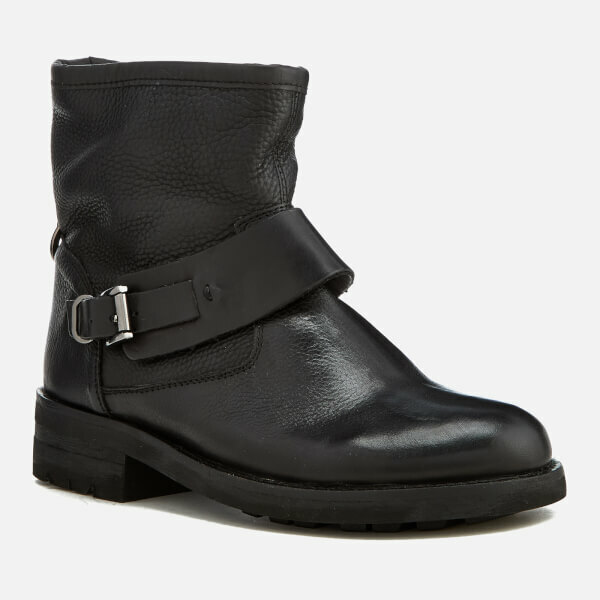 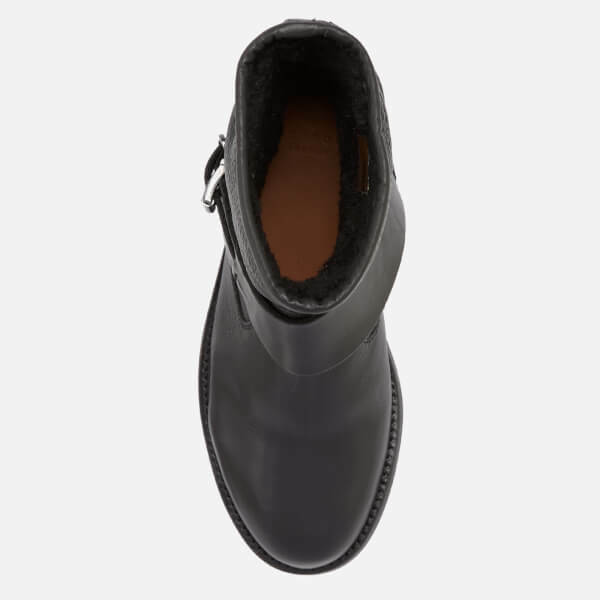 Black leather biker boots from Hudson London. 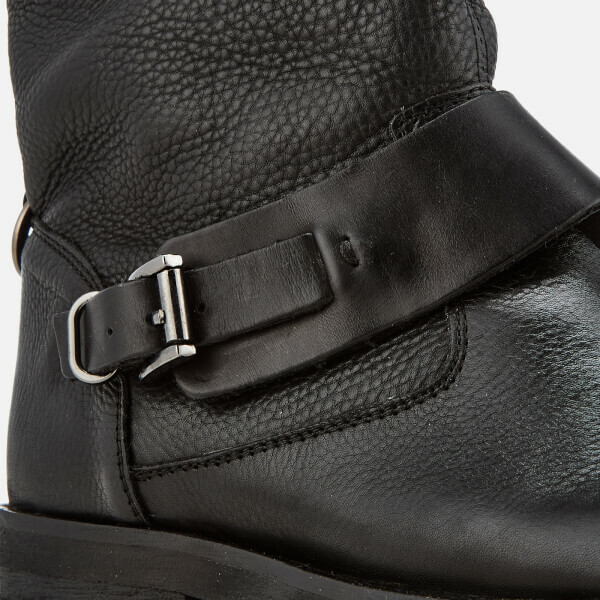 Forming a distinctively rugged structure, the 'Mac' ankle boots are made from supple, grained leather uppers with a soft faux shearling and leather lining for enhanced comfort. 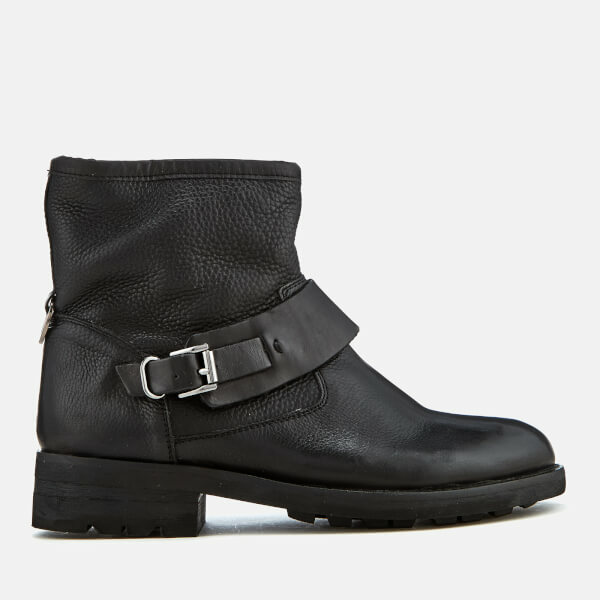 Accented with gunmetal-toned hardware, there is an adjustable buckle strap wraps around the vamp and a circle tab to the heel. 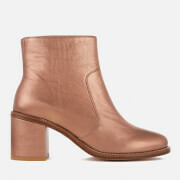 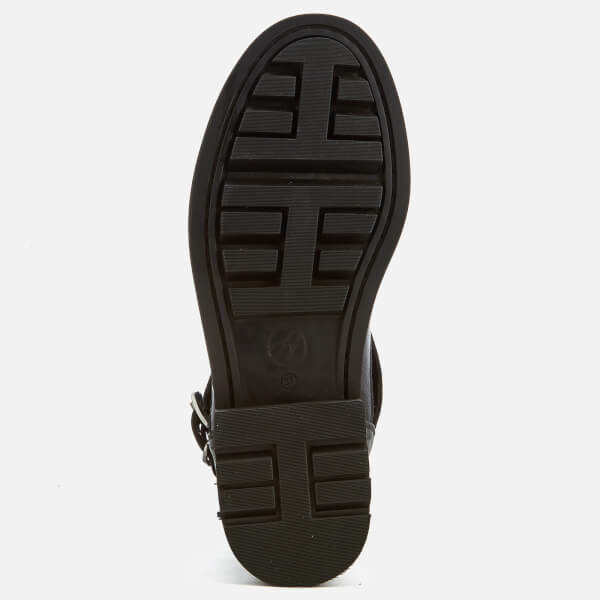 Set upon a chunky rubber sole with low stacked heel.